Yea you said that already but i was asking about playtime not development time. I'm intrigued but won't be backing this one, might buy it at release if I hear good things though. Well, it says right in the front of their Kickstarter page +40 hours of gameplay (+60 hours of gameplay including stretch goals). But honestly asking that question right now is probably a bit like asking how long the play time of Grimoire is about 20 years ago. Thanks. I did check and even searched for hours but…. I see a graphic image not text. Yuck. 40 hours was what they mentioned at Gamescom as well. Funding slowed a little and it.s close to $40,000. 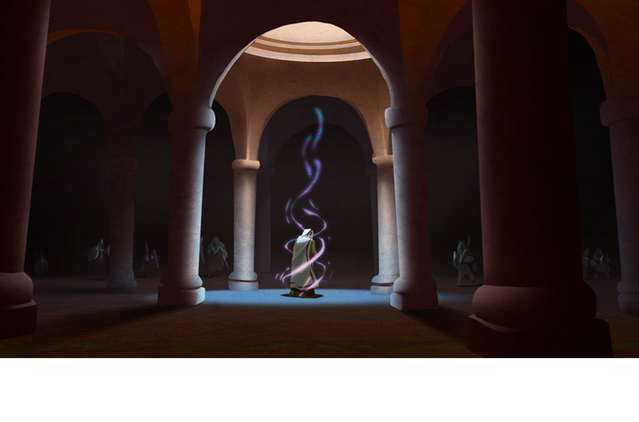 The ancient and magical race known as Mourians lives in the Otherworld-- they use portals and mystic labyrinths to interact with or even enter our human world. Their bones and eyes are made of a sort of gold, so they have huge reserves of that precious metal. If you do business with a Mourian, they'll always pay extra for whatever you sell-- often offering a massive quantity of gold for a simple piece of good food. But, never try to cheat them… if you do, their gold will change to coal… forever. 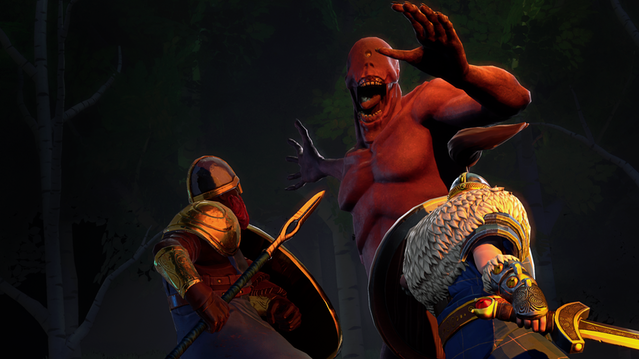 The Second update was posted. Today we want to talk about our first stretch goal, and one of the most talented scriptwriters in videogame industry: Emily Grace Buck. Seems this kickstarter is getting less attention then Realms Beyond. Surprised ( non pleasantly) this isn't gettin more interest. 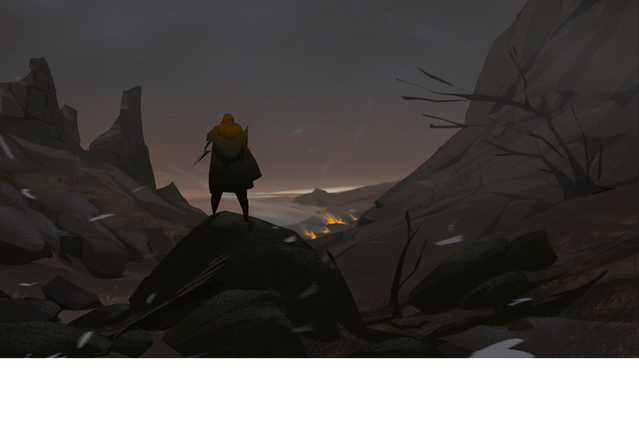 Seems like Dragon Age Origins, with way more interesting premise/story. The premise is why I backed. Fantasy world based on ancient Gallicia and Spanish mythology with time travel? 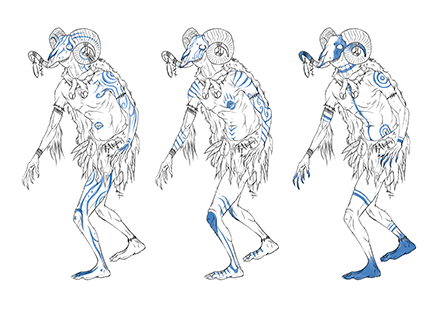 Unique playable races such as Werewolves, Cyclops, and Genies? Sounds too good to be true. Gameplay also seems interesting. 32 classes with 800 formations and abilities sounds much deeper than anything Dragon Age: Origins had to offer. Last edited by Copper Coin; October 21st, 2018 at 01:54. Here it's David from Gato Studio. Firstly, I understand 100% your critic about the studio. I know there's a huge delay with the final installment of AR-K and that's really sad, but consider the third episode was a really solid release, we got around 80% ratings through all the media, even sites about specialized adventure / point & click games like Justadventure or Adventuregamers.com gave us really nice reviews. The problem, and that took us until 2017, is that the game didn't sold as nice as its reviews so there was no way out to produce a the final chapter if we wanted to stay alive as developers. As a consequence, we had like "2 years in the desert" stage, were we released Bullshot while focused to get funds in alternative sources. And one of the results is that we started to give video-games development classes, this became a beautiful tool to recruit new talented people. So in September 2017 stars aligned, we got really lucky, that lead us to hire +30 new employees (we growed up from 6 to 39 buddies last year) from our video-game development classes to start this new project, we could say is an inspirational project because it reflects the culture of our ancestors, our heritage. 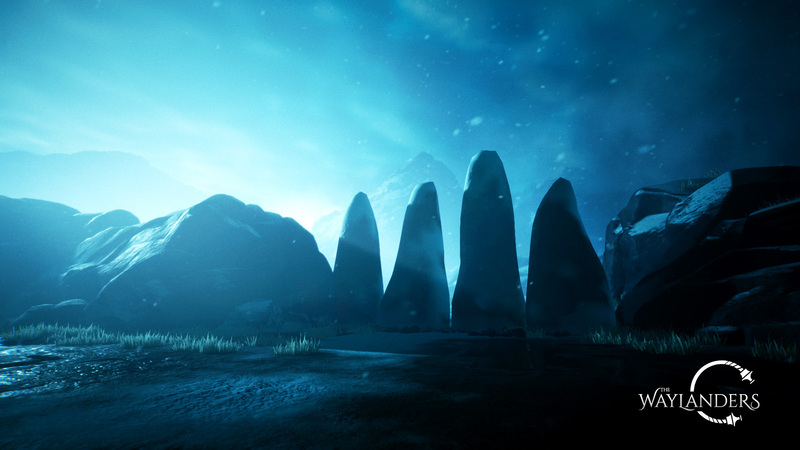 The Waylanders is now our main project so understand we give it priority over AR-K, but we will finish AR-K as well, even it's really far for being a cost efficient idea and I'm sure 99% developers in the same situation would give up. About the DRM-free version, please notice GOG.com won't give license to unfinished episodic adventures, so we won't be able to provide them until we release the 4th next year. 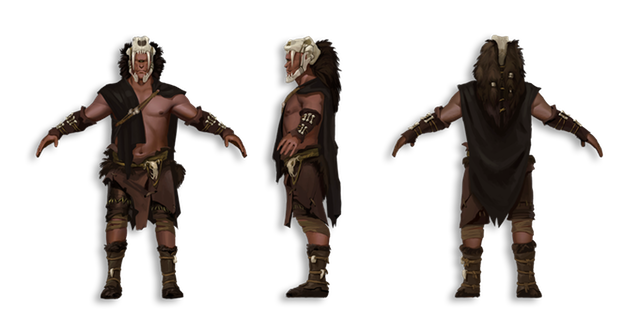 Fomorians, new streaming and… Level up rewards! The Fomorians are the original immortal inhabitants of Ireland. After a long, bloody war with the Tuatha de Danaan, they were exiled to a small part of the Mourian Otherworld. 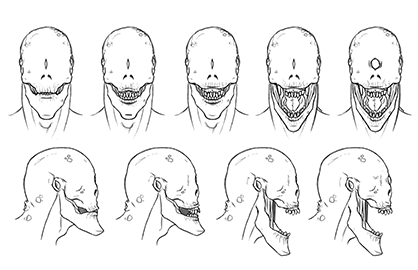 Most humans immediately find them sinister-- Fomorians are giants compared to all others, and their exile has forced them to subsist by turning to cannibalism. The Fomorian King, the largest of the giants, has the ability to regenerate, so they feed on him in order to survive. 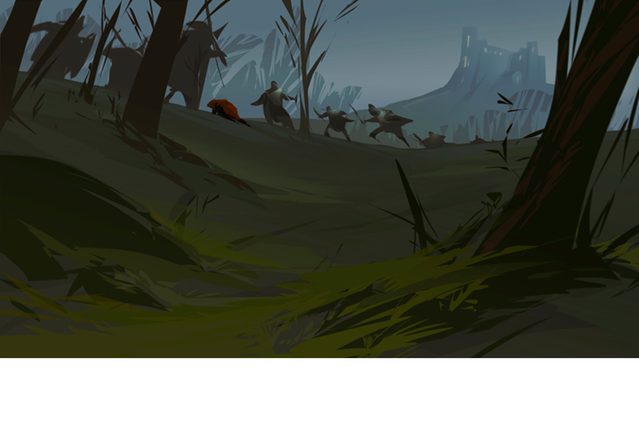 Despite these horrors, the Fomorians are a deeply honorable people, and they've accepted their defeat as their destiny. Half-Formorians are the descendants of both the Fomorians and the Tuatha. 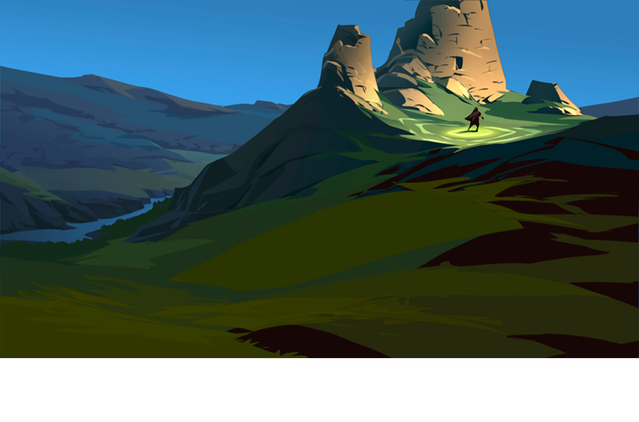 They are the tallest character race that you can play in The Waylanders. If you play as a Half-Fomorian, your character will have grown up a second class citizen in the Mourian underground, with little knowledge of the outside world. You'll look human enough to most people… though perhaps incredibly tall and a bit odd. As a vassal of the Mourians, you're their gun-for-hire mercenary who has fought on their side in various conflicts throughout time. You arrive in Ireland as a bodyguard, but also as a warning-- that the Mourians remember what the Tuatha did to the Fomorians. By the middle ages, the Fomorians have overtaken their Mourian jailers and now rule the Otherworld. When humans peek through the old, decrepit Mourian doors, all they can see are monstrous figures surrounded by endless fire. We’re almost at the middle of our Kickstarter campaign, and we need YOUR help to spread the word! If every backer like you referred just one new person to the campaign, we could make our goal. So…. For each new backer you refer who ends up contributing to the Kickstarter, you’ll receive a reward of $30 credit! Yes, those rewards stack! You can use all your reward credit in the pledge manager at the end of the campaign to get cool add-ons or even upgrade your reward tier. Help us share the campaign to get new backers! The first live streaming was great! We had a lot of viewers, interesting questions… It was a good way to connect with all of you. And we want to repeat. This Wednesday, October 31st… we'll be on Youtube Live again! We’ll show new content, and you can also make questions about the referral program. Hope you like the good content about races, the referral program and the new live streaming! This location is based on Santa Tecla's hillfort (also known as Santa Trega), a place in the Southwest of Galicia. It's considered a Place of Cultural Interest, and wan inhabited around 2000 years ago. 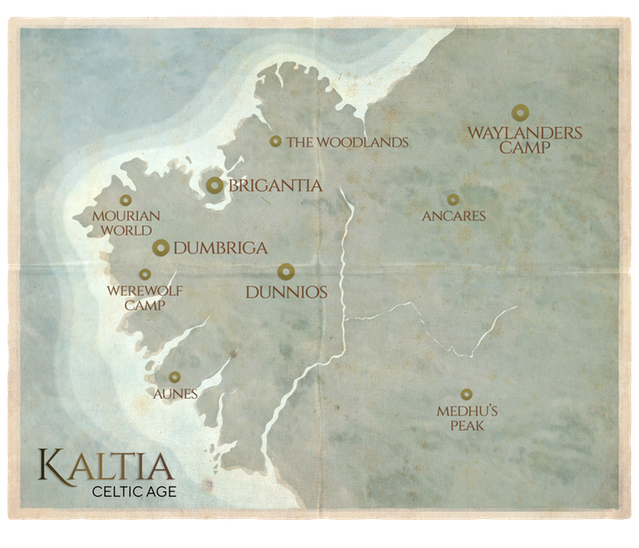 In The Waylanders, your adventure begins in the Celtic region of Kaltia, in what is now Galicia in Northwestern Spain. Kaltia has a lot of places you can visit, rich in nuances and dissimilar from each other. Coastal villages, big forests, necropolis, underground cities, werewolves camps… Let's take a quick look to some Celtic locations you can enjoy on The Waylanders! The capital of these lands is Brigantia, a bustling coastal city, and home to King Ith and his court. Brigantia has the largest and densest population in all of Kaltia, and The Tower, an ancient lighthouse, is located here. Dumbriga, a smaller city to the south, is the home of the University. Druids from all over Kaltia come here to study and perfect their magical crafts. A mountain at the center of town, commonly called The Olympus of the Celts, is said to house some of the elder gods, and is off-limits to all but the most advanced Druids. The Mourian Underworld is a vast underground network of cities and towns that spans the majority of Kaltia. There are a few large doors through which you can travel through to their society. Mourian architecture is elegant, and lavishly decorated- parts of their bodies are made of gold, but so are their homes. The Werewolf Camp is… a camp full of werewolves! 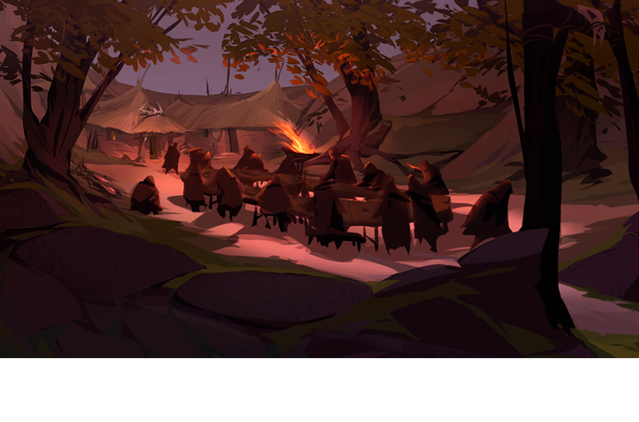 They are master hunters and enjoy trading with the outside world, but are still seen as intimidating by many humans… partially because their camps are guarded by actual wolves. Aunes is a charming seaside town, mostly inhabited by Goblins. The Goblins of Kaltia are mischievous, playful creatures who don’t intend harm- but they might do harm if they think it’s funny… so it’s best to be on your guard. The Woodlands is, by far, the largest forest in the region. Small encampments and villages are littered throughout its dells and clearings. Many of the trees are said to be thousands of years old, and because of this, the area is known for being extremely magickal. Ancares is a harsh, snowy mountain region with few permanent residents. The majority of buildings in Ancares are military forts meant to keep away the monsters that roam the tundras. Medhu’s Peak is the only Mourian city outside of the Underworld. It is named for the ancient goddess Medhu, and is wealthy nearly beyond imagination. The gold mines here are seemingly ever-flowing, and the ancient magick is felt in the very air you breathe. We'll give you more details about these locations in future updates. You can comment and tell us which one is your favourite! FOR FULL INFOS, VISIT OUR KICKSTARTER SITE! I think ancient Spain is an excellent area to explore in a game. Thanks for the information, please keep it coming!